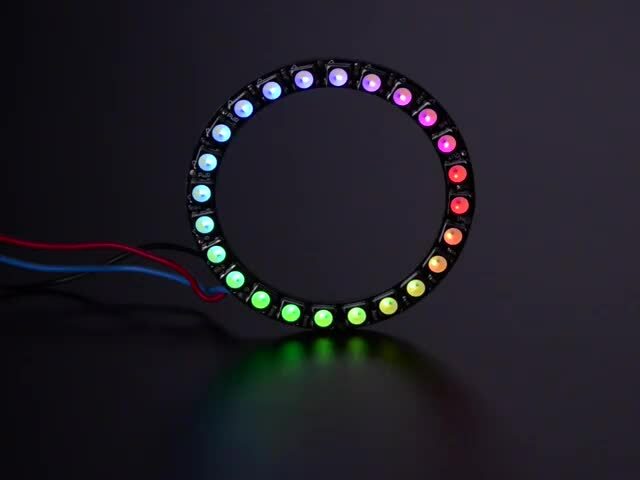 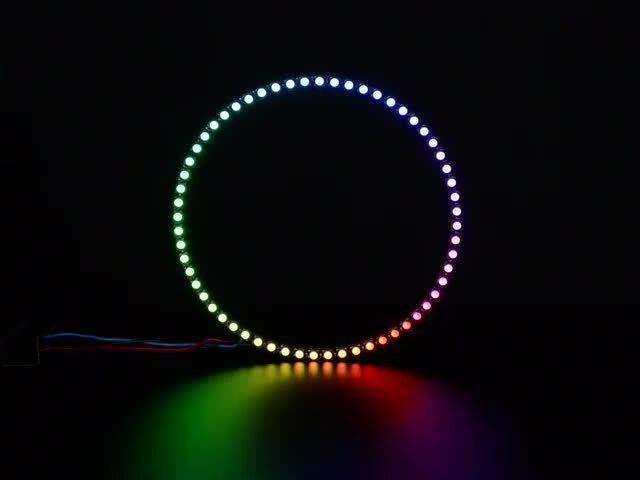 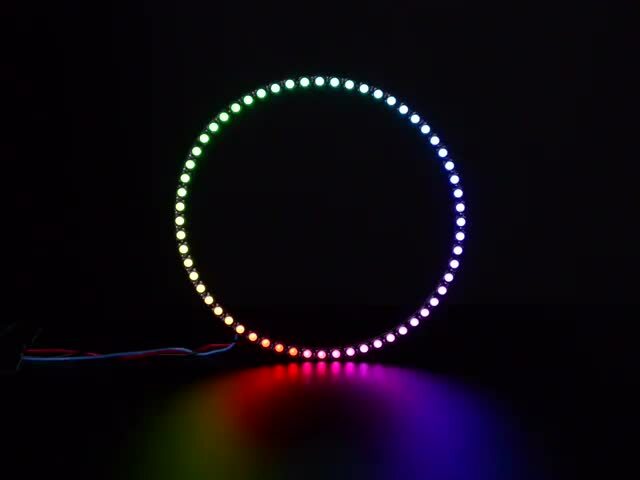 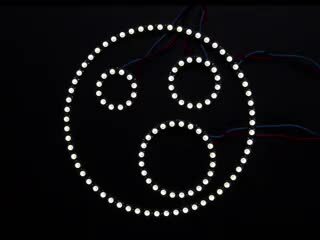 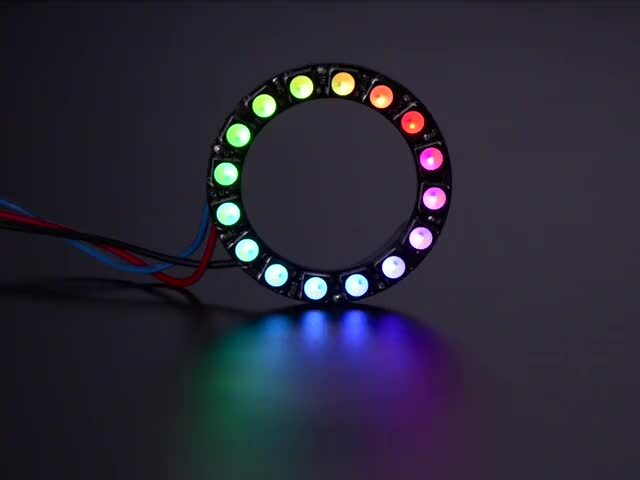 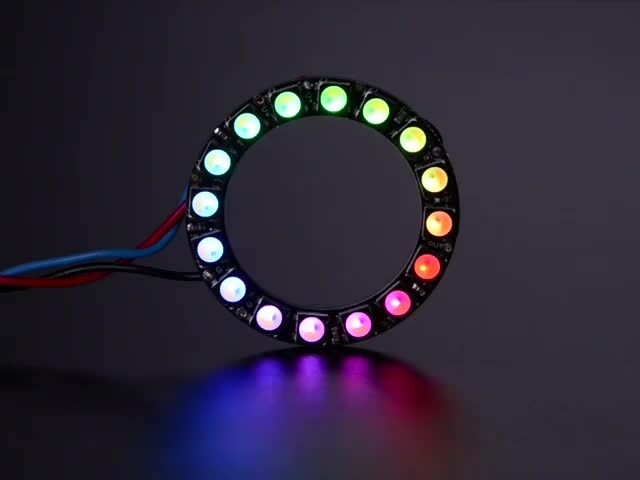 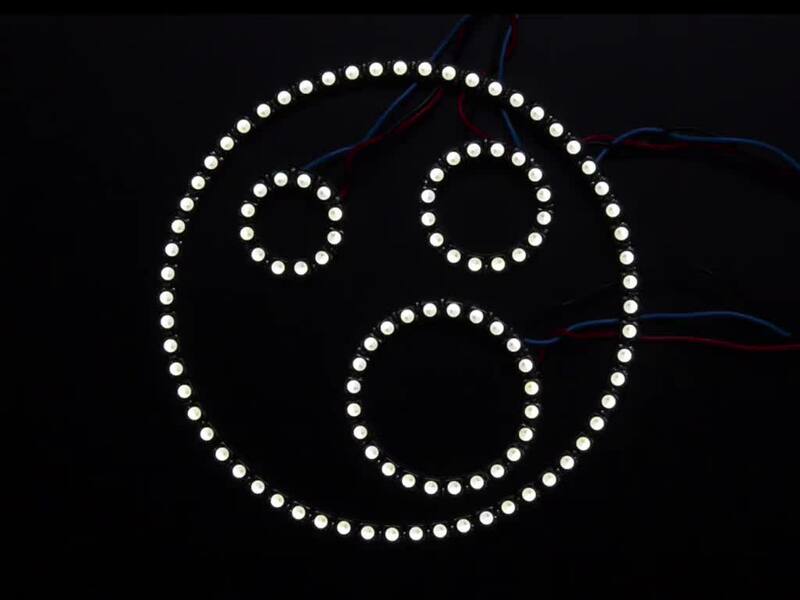 Round and round and round they go - smart LED NeoPixels arranged in a circle! 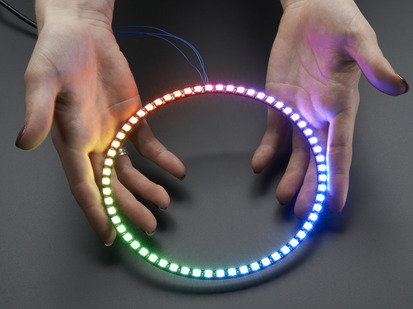 All of our rings are 'chainable' - connect the output pin of one to the input pin of another. 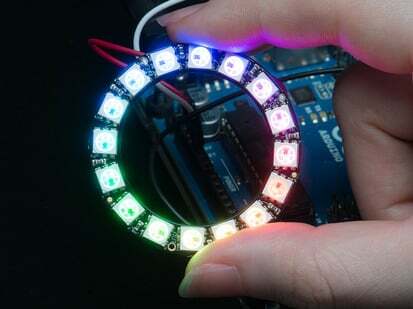 Use only one microcontroller pin to control as many as you can chain together! 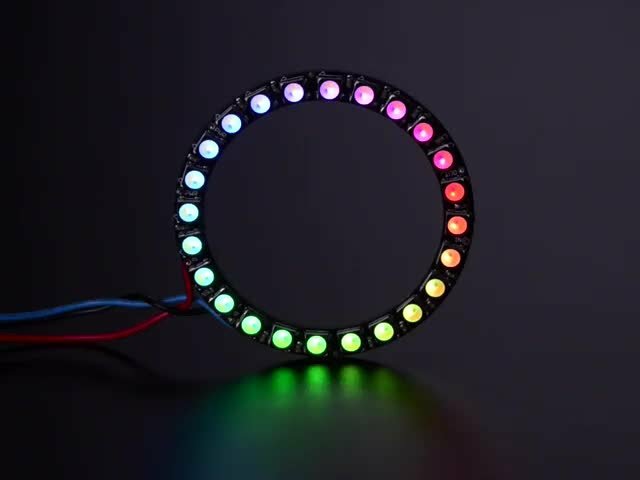 Each LED is addressable as the driver chip is inside the LED. 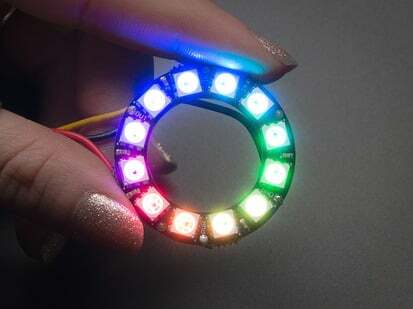 Each one has ~18mA constant current drive so the color will be very consistent even if the voltage varies, and no external choke resistors are required making the design slim. 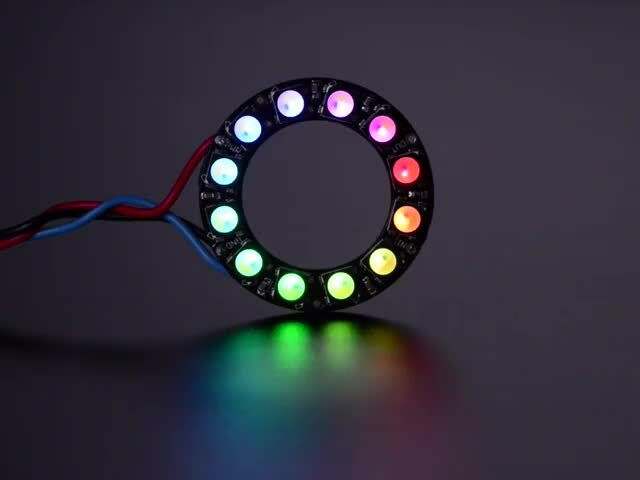 Power the whole thing with 5VDC (4-7V works) and you're ready to rock. 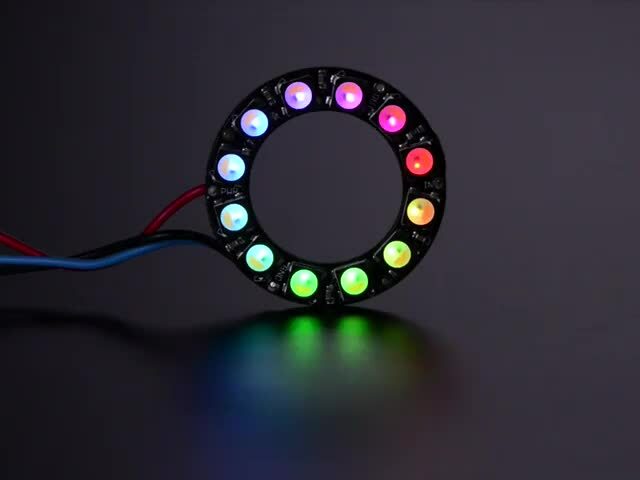 Our detailed NeoPixel Uberguide has everything you need to use NeoPixels in any shape and size. 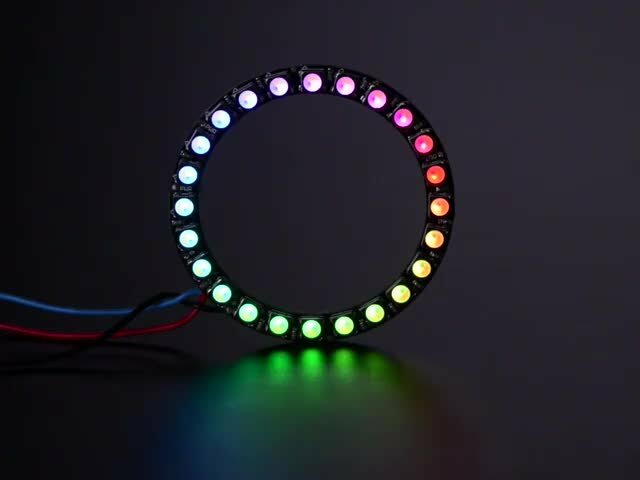 Including ready-to-go library & example code for the Arduino UNO/Duemilanove/Diecimila, Flora/Micro/Leonardo, Trinket/Gemma, Arduino Due & Arduino Mega/ADK (all versions).